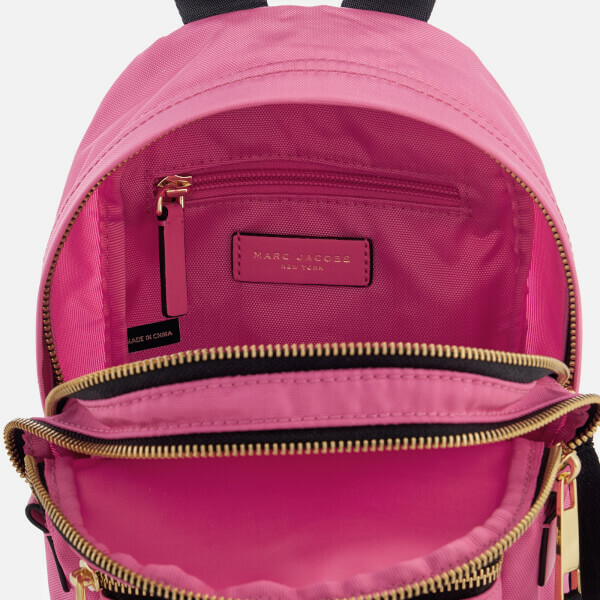 Crafted in lightweight, durable and high performance nylon the mini ‘Trek Pack’ backpack from Marc Jacobs features gold-tone metal accents and tonal leather trims. 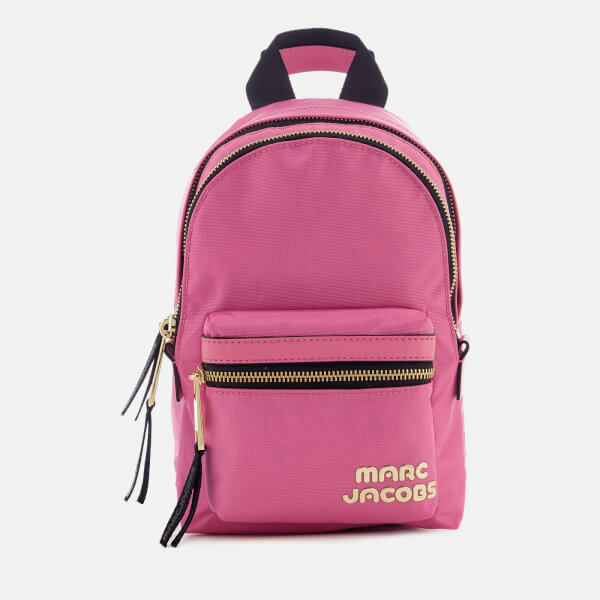 Secured with a zip around fastenings, the dual-compartment interior offers ample space with a zipped pocket within for storing smaller essentials. 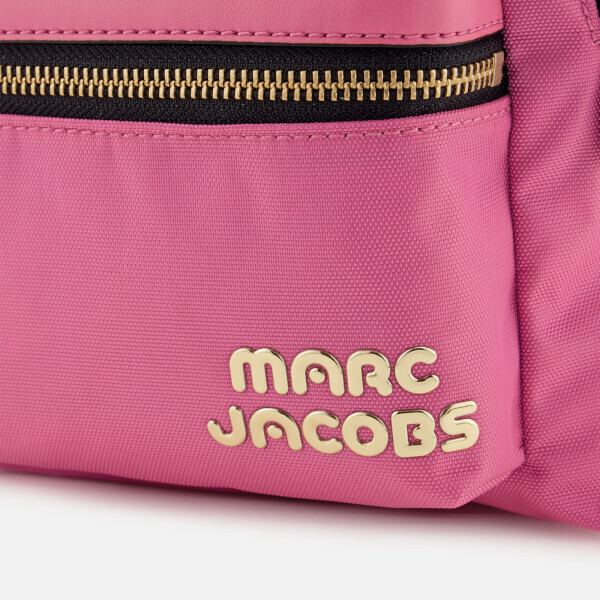 An external zipped pouch at the front offers additional, easy-to-access storage space. A top handle and adjustable shoulder straps offer versatile carrying options. 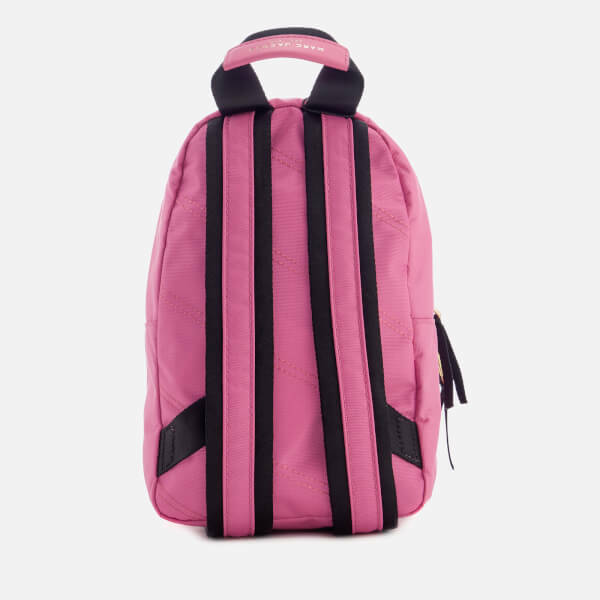 Branded zip pulls and a contrast silicone sport logo on the front pocket elevate the rucksack’s compact design.